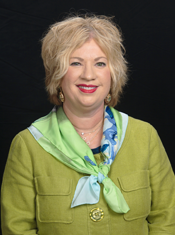 Denise is a Financial Representative with the Southeast Wealth Management team. She offers business owners and executives, as well as everyday investors, more than 25 years of investment management experience. Denise has spent the bulk of her career serving clients as a Financial Consultant and Financial Services coordinator with several East Tennessee financial institutions. A native of Cleveland, Tennessee, Denise earned a Bachelor of Science degree at the University of Tennessee Knoxville. She appreciates the variety of perspectives offered by her clients and the relationship and enduring friendships that are fostered over time. Denise enjoys keeping up with the economy and current events and legislation that impacts her clients, recognizing that her work makes a difference in their lives and that of their family members now and in the future.